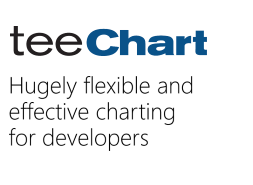 - Using TeeChart for PHP with sources, it should work as described in the instructions, recompiling the php and without using the loaders. - Using TeeChart for PHP eval, with obfuscated sources, phpexpress loaders are needed, but adding them in the php.ini causes the GD library not to be loaded successfully, so I'm not able to run teechart either. I'll ask that to nushphere guys and I'll back to you asap. Sorry, but we don't support mainframe - we support many other platforms such as Windows, Linux on x86 CPU (32 and 64 bit), FreeBsd, Mac OS, Solaris OS. They did follow-up with another email saying they might be able to provide a loader if we could promise some number of new NuCoder licenses and if we could provide our platform to them for the long term. No can do either. If anything, I would think Steema might be able to make the request for a z-hardware loader in support of your current NuCoder license. I've found that I was changing the extensions dir to load nusphere extension and then the gd.so and pdo.so couldn't be loaded. How-To Install TeeChart for PHP without sources (obfuscated) in Ubuntu 9.10. This includes both the evaluation and the binary versions. Both them need nusphere loaders. How-To Install TeeChart for PHP with sources (not obfuscated) in Ubuntu 9.10. Yeray - via some emails with Dmitri Dmitrienko at NuSphere, they've told us that they don't support the IBM mainframe platform and, therefore, do not plan to provide a PhpExpress loader. Their rationale is that they don't see any monetary reason to extend PhpExpress support to the mainframe. Unfortunately, this leaves me no choice but to suspend looking at TeeChart for PHP (unless Steema can convince them otherwise!). We'll discuss options here and we'll contact you via email to see if we can work towards a solution.